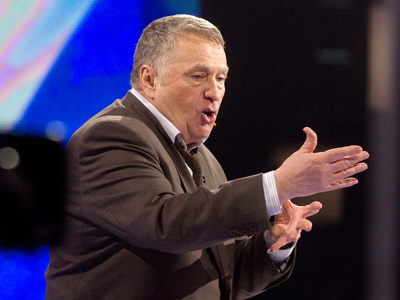 The chairman of Russia’s liberal Yabloko party Sergey Mitrokhin says that any kind of foreign sponsorship is unacceptable for the Russian opposition. “Such support helps the government to discredit those who get it in the eyes of a significant part of Russian society,” he said at a meeting of the Executive Committee of Liberal International, reports the Yabloko press service. “The main form of support that we are expecting from the West is greater attention to the violation of human rights in Russia,” Mitrokhin stated, adding that such cases require a reaction on the government level and in the media. The opposition leader also urged the West to refrain from ‘Realpolitik’, when basic principles declared by Western countries are given up for the sake of economic and trade interests. The participants had gathered in Barcelona to discuss the global impact of the Arab Spring, which is marking its first anniversary. 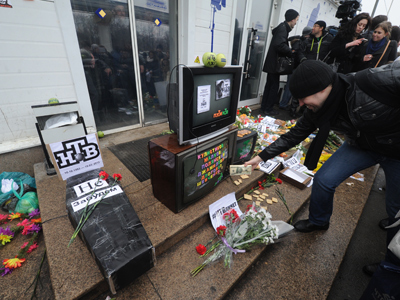 In Russia, the protest movement has been on the rise since the December 4 parliamentary vote, which many allege was unfair. 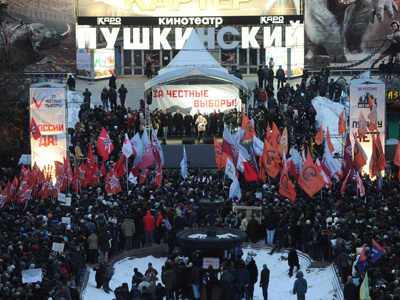 A series of anti-government rallies demanding fair elections was staged in Moscow and other cities across the country. 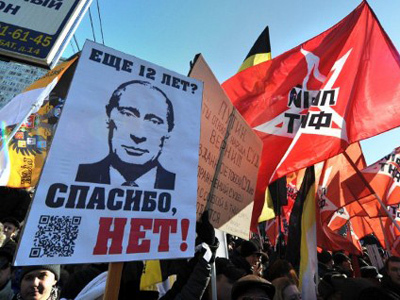 According to Mitrokhin, the Russian protests differed from those that swept the Middle East and North Africa. Protesters in Arab countries are mainly young and poor people “who have nothing to lose”, and are therefore “ready for radical action”. 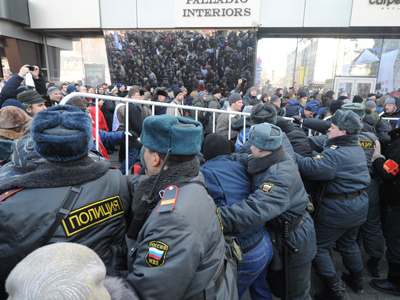 In Russia, on the contrary, protesters are representatives of the middle class who do have something to lose. 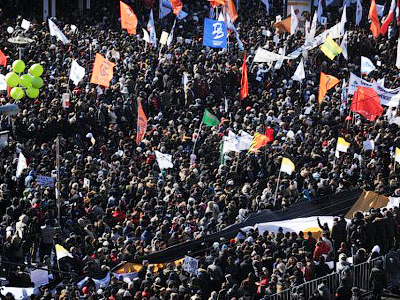 They are not ready for radical protests, Mitrokhin believes, and all attempts to radicalize rallies will only lead to a fall in the number of participants. The Yabloko chairman also underlined that “a revolutionary scenario” is unacceptable for Russia with its enormous territory and huge variety of ethnic and religious groups. “For this reason any revolution could lead to the disintegration of our country,” Mitrokhin pointed out.